Restaurant owners have a lot on their plates. Most get into the business for the love of food, but depending on the day, your job description might include being an expert manager, accountant, public relations director, host/hostess, or recruiter. The restaurant industry has many unique HR challenges due to large workforces, high turnover, complex scheduling, and wage and tip reporting requirements. With your mind heavily focused on costs, competitors, customers, menus, vendors and pricing, you might not have the time to handle the industry’s top HR challenges, leaving your business vulnerable. How can you increase your restaurant’s chance of success? We’ve outlined the top HR challenges that restaurant owners should think about strategically. High turnover is a concern for most restaurants. According to data from the Bureau of Labor Statistics, the 2015 annual turnover rate for the restaurant industry was 72 percent, up from a rate of 67 percent in 2014. * Your staff is an integral part of the restaurant experience. Hiring and retaining skilled employees who can handle the pressure and demands of the hospitality industry and delight your customers day in and day out is key to reducing turnover and saving costs. Pay extra attention to your recruiting and hiring process so you can find the perfect employees for your business. The onboarding process sets a strong foundation for a good working relationship between you and your employees. Effective restaurant employee onboarding is a way to increase retention, necessary for reducing your expenses. Constantly replacing new hires can be a huge financial drain for your business. A good onboarding process is vital to help your new hires get up and running efficiently. Electronic onboarding can also eliminate the need for significant paperwork, improve accuracy and reduce costs. You can hire the best possible candidates, but without the right training, your employees can’t do their job properly. What can you do to set your employee up for success? Once hired, train your staff properly and help them prepare for any situation, good or bad. Tools such as employee handbooks, training manuals, checklists and mentor programs can set clear expectations for job performance. Performance management should be an ongoing process, requiring regular discussion about an employee’s performance and a formal review at certain times throughout the year. Managing performance in a fair and clearly defined manner can also help avoid problems later if an employee is not meeting the agreed-upon standards. Taking proper steps to address poor performance can also help when you choose to terminate someone. This is important because if someone were to challenge you for wrongful termination, you would have the appropriate documentation to defend your decision. Restaurant owners are far less likely than other business owners to offer benefits to employees. In this competitive industry, offering a comprehensive benefits package can help you attract and retain the best managers, wait staff and chefs. Although benefits such as healthcare and retirement plans require an upfront cost, this type of investment can have a very strong impact on employee loyalty. As a business owner, you are responsible for providing a safe working environment for your employees. Part of this means addressing any harassment complaints. Workplace harassment, particularly sexual harassment, is a major issue for the restaurant industry and your business must take strong measures to protect your employees and your business. Take steps to train your managers, have clear policies, educate your employees and respond quickly to any complaints. Restaurants need to always be prepared for a wide variety of safety issues that could adversely affect staff and customers, including kitchen injuries such as burns and cuts, food-borne illnesses due to mishandling, slips and falls, and sanitation issues. Risk management and workplace safety programs are vital to preventing workplace accidents and illnesses, mitigating costs and protecting your employees and guests. Restaurant payroll is very time-consuming due to the payment of several forms of wages with varying tax requirements, making legal compliance a big challenge. Calculating taxes for all appropriate government levels can also be quite complex, particularly for restaurants with multi-state operations. Missing a quarterly tax form submission or any other required reporting can be extremely costly. The restaurant industry is an easy target for I-9 audits due to the high percentage of foreign-born workers and high turnover rate. If your restaurant is audited for I-9 compliance, auditors may treat errors or inconsistencies as a red flag. It’s imperative to maintain accurate paperwork and take the necessary steps to avoid large fines and possible criminal penalties as well. Between incomplete forms, incorrect timing, documentation errors, submitting Spanish-language forms, and discarding documentation too soon, there are many opportunities to make an error. The Fair Labor Standards Act (FLSA) is a complicated law that sets the terms for wages and hours worked that most employers in the United States must follow. Many restaurants struggle with keeping track of compliance and are especially prone to FLSA violations because of the long hours and low wages for restaurant workers. Mistakes could leave you liable for back wages, taxes, penalties, interest or legal fees. It’s critical to ensure your restaurant complies with this and other federal and state fair employment practices. 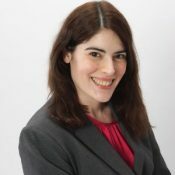 Christine Pescatore is the Senior Marketing Manager, Content and Brand for Oasis Outsourcing. Oasis Outsourcing is the nation's largest privately held Professional Employer Organization (PEO) providing clients with Human Resources, Payroll, Benefits and Risk Management services.